Dye House Drum Works is pleased to welcome a new member to the team! Euan Rodger has been teaching independently since relocating from London in 2011. He studied with Dylan Howe of Ian Dury & The Blockheads/Wilko Johnson and Tim Earle (Berkley Alumni). A busy session and touring musician, Euan plays regular live, studio and radio sessions (BBC2, BBC3, BBC 6 Music to name a few. 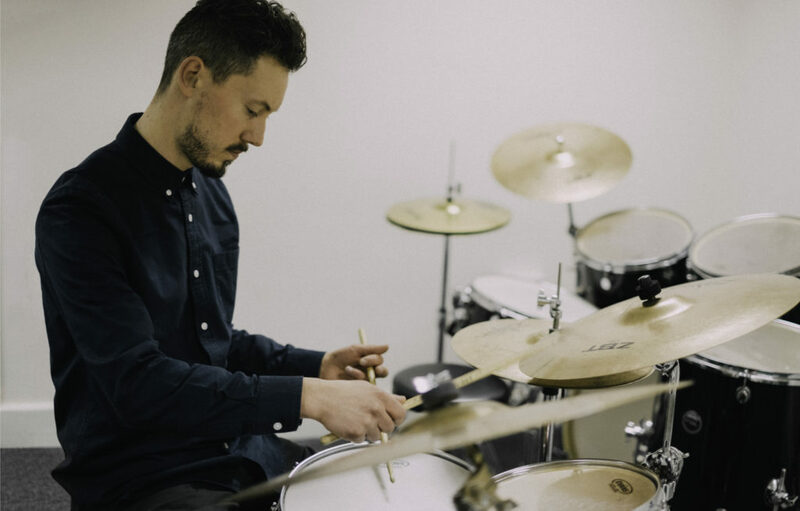 He currently plays with Devon Sproule (US), John Southworth (CAN), Little Annie (US), Baby Dee (US) and Marker Starling (CAN), having previously played for B.J. Cole, Paul Curreri, and Sandro Perri. He also composes music for film and arts events, and has collaborated with Jamie Shovlin for Toronto Film Festival/Cornerhouse produced films Hiker Meat and Rough Cut. The exam boards Euan facilitates are Rockschool and Trinity, covering all grades.